Peter Wright played from 1955 to 2004 for the BDO and managed to qualify in his first year for the BDO World Championship. He never managed it again. 2004 he switched to the PDC, played in 2005 the UK Open final in Bolton and then took a break from darts for a few years. 2008 he reappeared in the PDC and in 2009 qualified for the Las Vegas Dessert Classics and the World Matchplay and two times stood in the semi-finals of a Players Championship. That was enough to qualify for the PDC World Championship where he lost first round to Michael van Gerwen. 2010 he reached the final of an UK Open qualifier, took part in the Players Championship Finals and qualified by the Players Championship Order of Merit again for the PDC World Championship 2011. 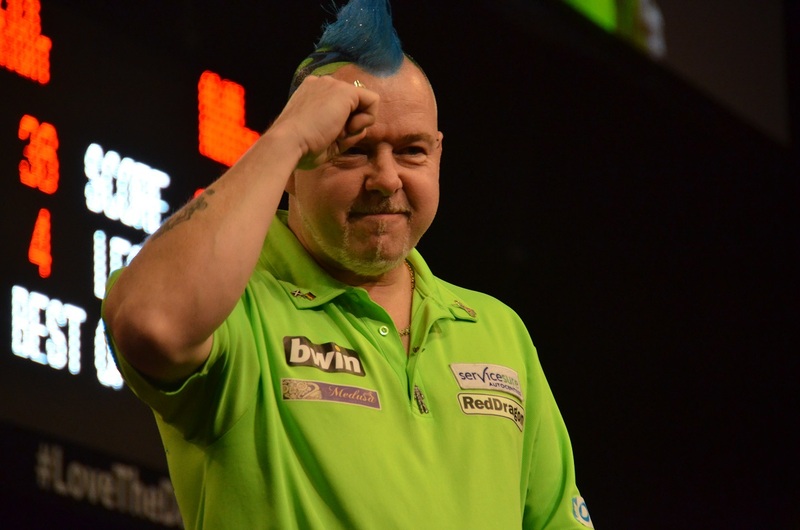 In 2013 Wright won his first Players Championship. In 2014 he stood in the final of the PDC World Championship and won his first European Tour Event. Peter Wright's trademark are his fancy and colourful hairstyles and outfits. Wright is a practice partner of Mervyn King.